NBC Bay Area has learned one of the suspects arrested for the murder of a beloved South Bay little league coach had another run-in with police just a month before the fatal stabbing. Now some question if the coach would still alive today if prosecutors did not drop charges against the suspect for a January incident. Documents obtained by NBC Bay Area show suspect Robert Ruiz was arrested in January during a probation search involving another man at an Edenvale neighborhood home. During the search, police found a stolen gun, a large-calibert ammo clip and drugs Ruiz claimed were his. But the District Attorney ened up dropping those charges, setting Ruiz free. Ruiz, 32, along with Aaron Vallejo, 24, both of San Jose, on Wednesday were charged with the murder of Frank Navarro. Both Ruiz and Vallejo did not enter pleas. 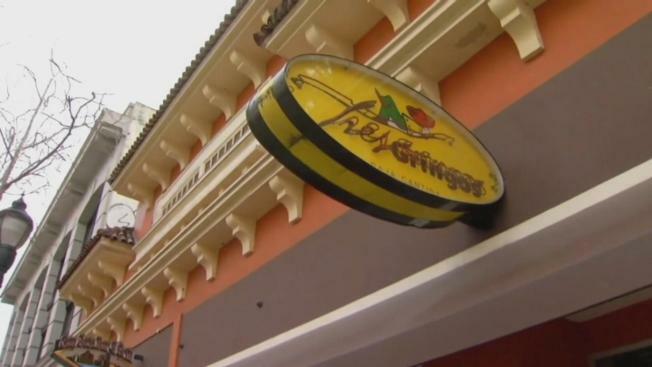 The 35-year-old Navarro worked as a security guard at Tres Gringos Cabo Cantina in downtown San Jose. He was fatally stabbed at the nightclub during an altercation over fake identification. News that Ruiz was set free after the January incident upset Navarro's friends and sources close to the case. "I hope we get to the bottom of it (and) find out why he was released," said Eddie Mesquita, coach Navarro's friend. "Hopefully that won't happen again so no one else gets hurt like what happened to Frank." Former prosecutor Steven Clark looked over the January arrests documents on Monday. Clark sympathized with friends and family of the coach, but said prosecutors often have to make tough and unpopular decisions in the name of justice. "It's not fair to place the blame on a prosecutor for dropping charges on an earlier case if they don't have enough evidence," Clark said. A GoFundMe account has been set up to help pay funeral costs for Navaro.